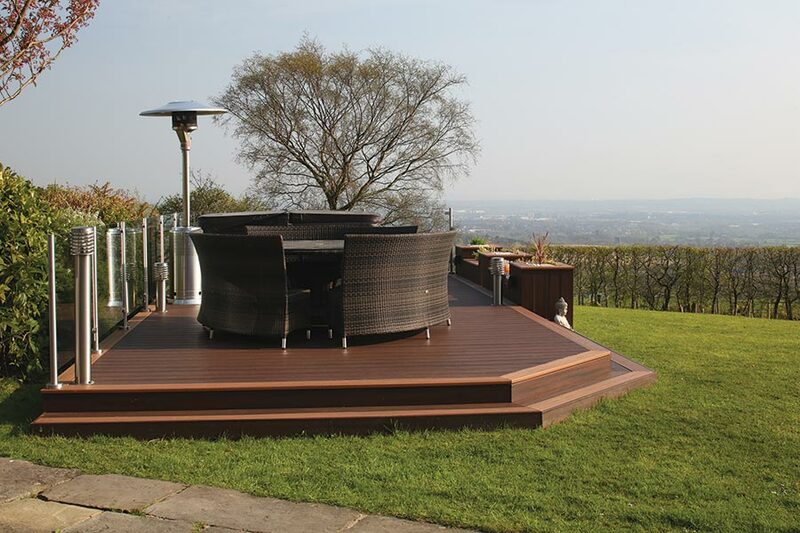 The peak season for buying decking is in the early spring, when everyone is getting ready for the long summer evenings spent outdoors. When winter rolls around many decks are left neglected, but this really needn’t be the case. Your deck can be every bit as useful and enjoyable in the colder months as it is at more temperate times of year, and we would encourage anyone who takes pride in their deck to pay it a little extra attention when the weather takes a turn for the worse. 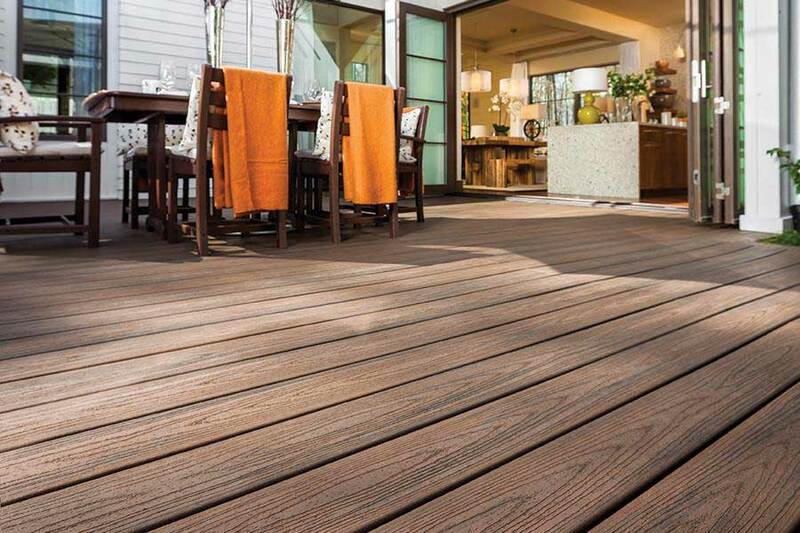 Leaving your deck unused and unloved from autumn through to spring won’t do you or it any good, and our decking experts have helped to compile five top tips for making sure your deck brings you joy all year round. Adding a fire pit, a chiminea or some patio heaters to your deck can turn it into a magical place to sit, even when the temperature outside takes a drop. Patio heaters come in various forms, including those that run on gas and those that require mains power. Electrical patio heaters are cheaper to run and can be wall mounted, while gas heaters are mobile and easier to set up. Fire pits and chimineas are popular amongst those who seek a more rustic charm to huddle round on their deck, but it is important to raise any fire source up above your deck to prevent wood or composite decking from overheating. 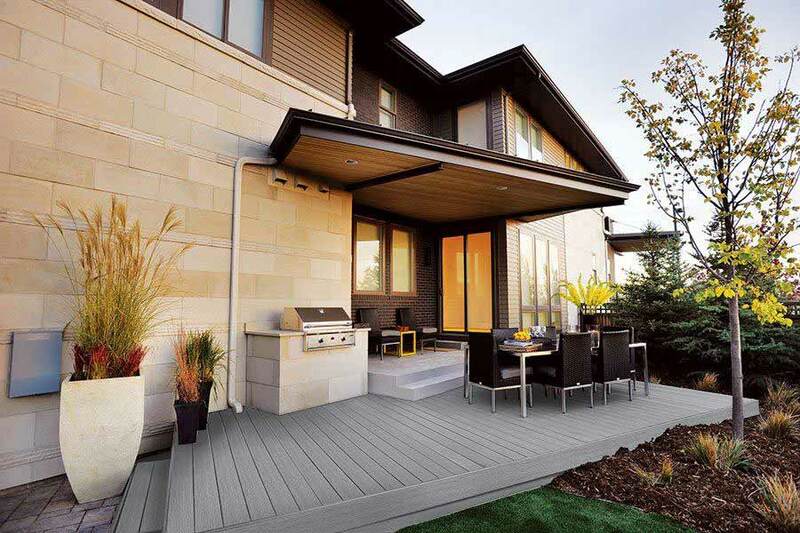 Fibre-cement mats are useful for protecting your deck from the heat of a fire. As well as providing shade from the sun when it’s warm, canopy awnings can help to keep you dry when you’re out on your deck in the rainy and snowy months. If you have a heat source on your deck already, then your awning will help to trap the heat and keep you even toastier when you’re outside on chillier evenings. To add an awning to your deck, you simply need to bolt a rigid frame to the deck itself and then add your canopy. Most awnings will withstand wind, rain, snow and hail, although it is recommended that you ensure you can remove your awning quickly and easily in the event of very high winds. If your budget is a bit bigger, then you might want to consider a retractable awning. These awnings are bolted onto the side of your house, and usually require professional installation. If you’re bathing in hot, bubbling water then it really doesn’t matter much what the temperature is outside. As such, a hot tub can be a great way to turn your deck into a place you enjoy all year round. Whether you are integrating your tub into the deck or standing it on top, you will need a flat, solid, level surface. It is easier to incorporate a hot tub into a new deck than it is to add one to an existing deck. That said, there is more expertise and help available than ever before, and almost any deck can be adapted to accommodate a tub, as long as you’ve got room. 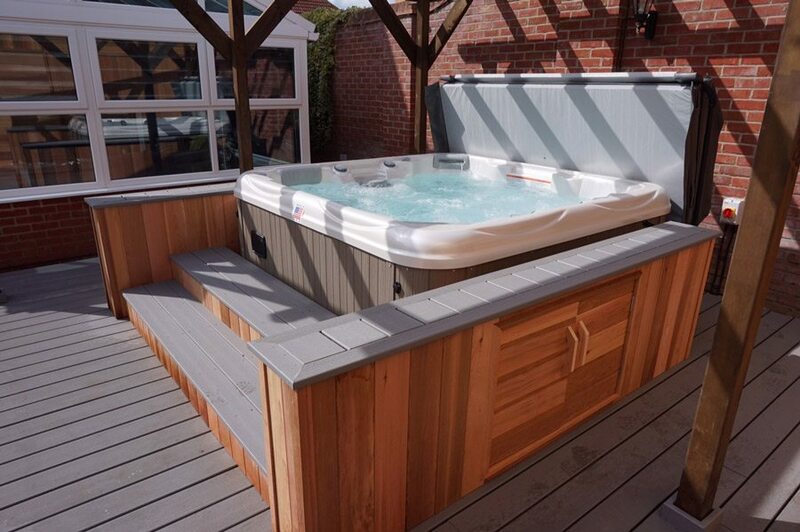 Essential considerations when planning a hot tub installation include the location’s exposure to wind, sun and shade, the privacy required from neighbours, how you will power your tub, and also your tub’s proximity to a door so you don’t have too far to dash back to the house! Even when it’s cold in winter, it can be fun to wrap up and cook outside, and you can be sure that your family and friends will brave the weather and venture onto the deck if there’s hot food to be had! Barbecues and portable gas grills make for very easy additions to any deck, but if you fancy something a bit more substantial for your Rick Stein moments, you could install or build a clay oven. As with fire pits, you’ll need to guard your deck against the heat source, but a clay oven for firing pizzas can turn your deck into a party venue from January to December. 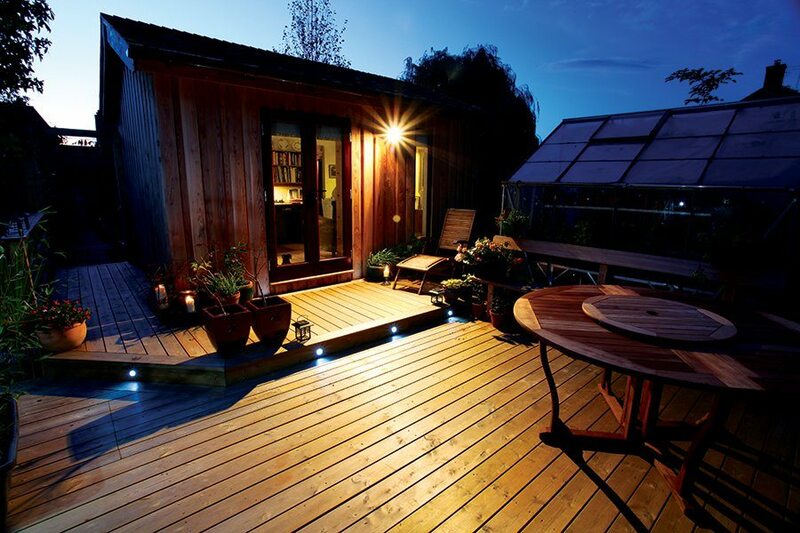 When it’s cold and dark outside, you can use lighting to making your deck more inviting. Low-level lighting is often a great option, and you can place lights on the underside of seating or railings to protect them from the weather. If your deck has an awning then lights can be easily attached – even a string of fairy lights protected by an awning can make a world of difference to your deck in winter. 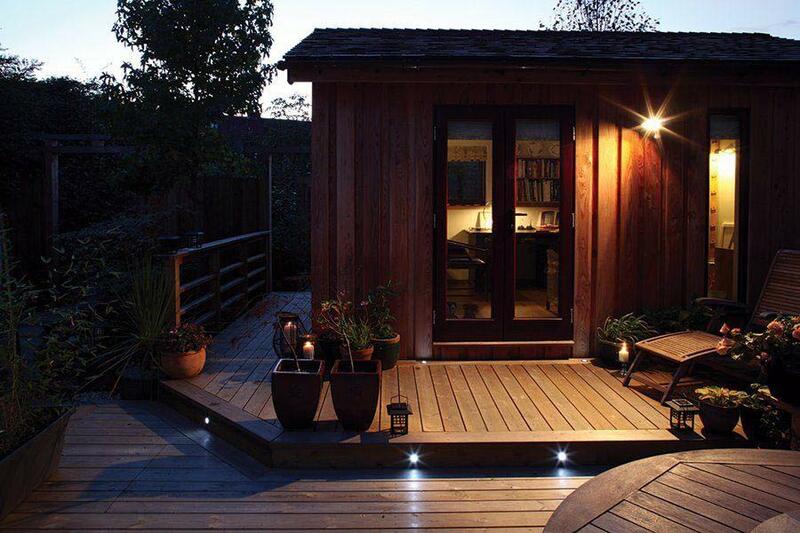 Smart lightbulbs that change colour at the touch of a mobile app work really well on a deck, allowing you to set the mood and create the vibe that will keep people happily using your deck, no matter the weather.